WBME AE 0692 JH customise the project to fit your needs, hshow or hide the Vengette, Change the colour of the photo and image frames, the background and the text. Also change the size and opacity of the photo and info frames. 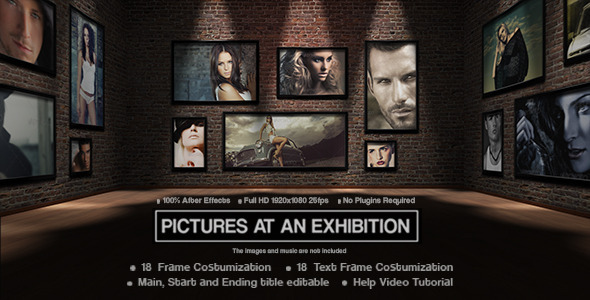 This project has 8 1920x1080 placement layer for video or images. Simply replace the placeholders with your HD video or images. This Project has 16 Text placement layers. Video/image files used to render the preview file are sold separately.